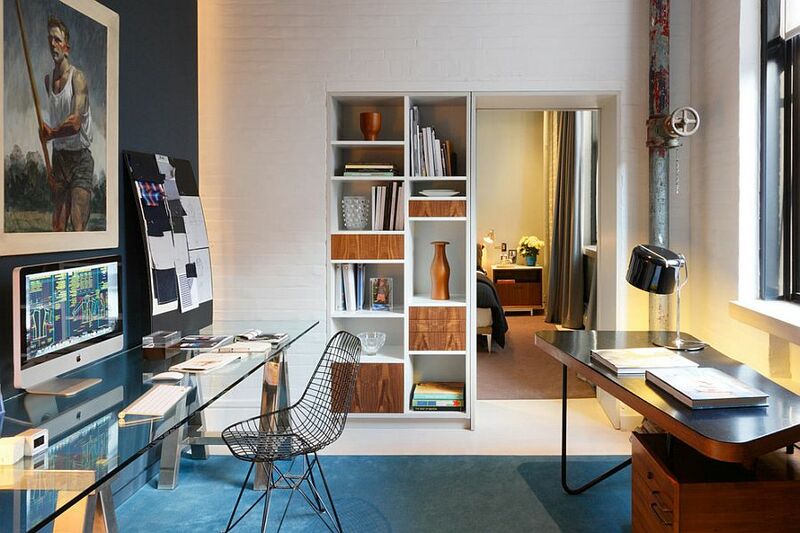 If there is one room in the modern home that has evolved leaps and bounds in the last few years, it is undoubtedly the home office. 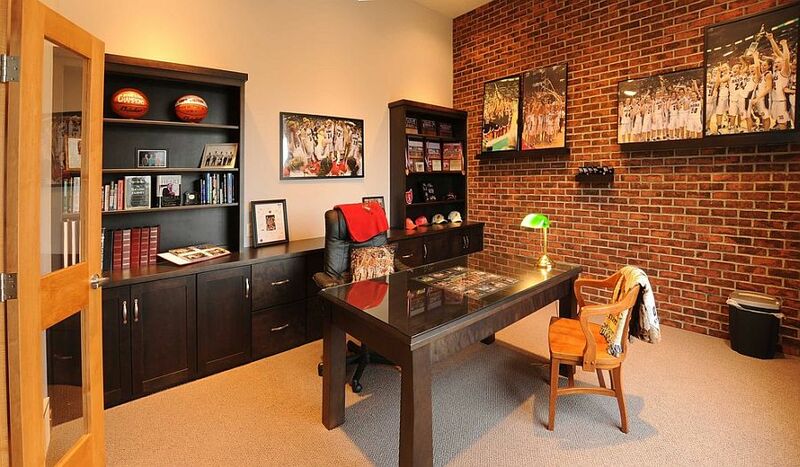 Homeowners these days are opting for a spacious, stylish and dedicated home office ahead of even spaces like the formal dining room and the playroom. 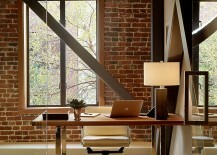 It is easy to understand this shift, with many of us more inclined to take work home now than ever before. 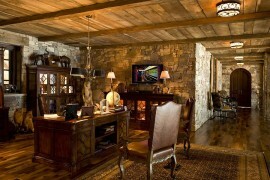 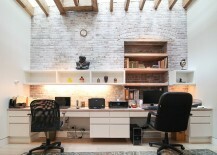 Both smart technology and wireless connectivity have turned the home office into a ‘must-have’ for almost everyone. 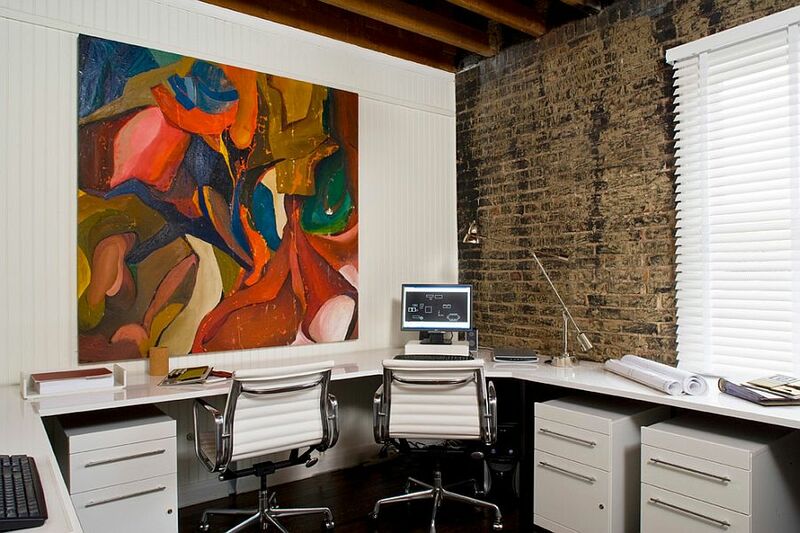 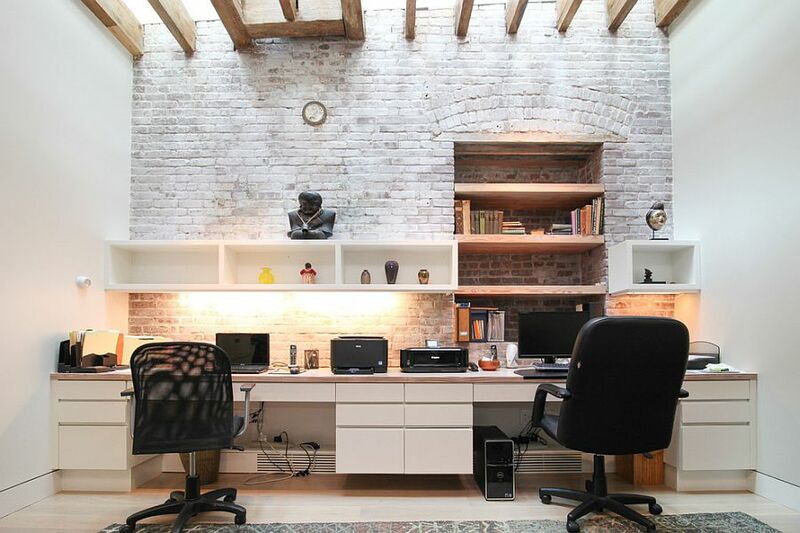 And today we take a look at how you can elevate the style quotient of your home office by embracing exposed brick walls. 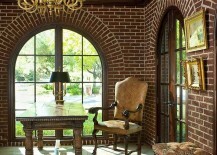 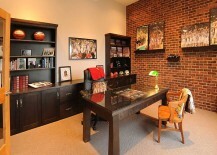 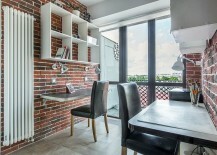 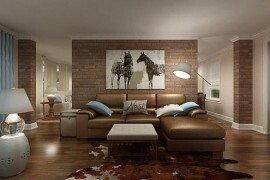 Even though exposed brick walls look great in certain rooms, many of us are worried about too much red that they bring. 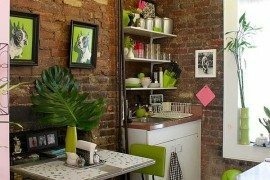 This essentially disturbs the color scheme of your home office and might turn an otherwise neutral and relaxed setting into something far more audacious. 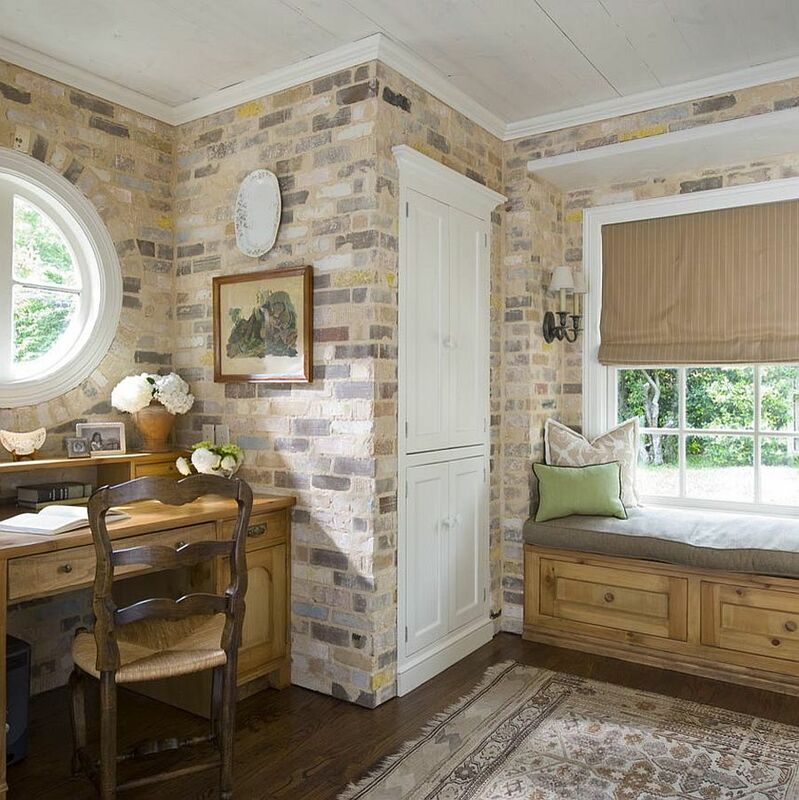 A simple solution here is to whitewash the brick wall to give it that rustic appeal and ensure that it easily blends in with the rest of the ‘white’ in the room. 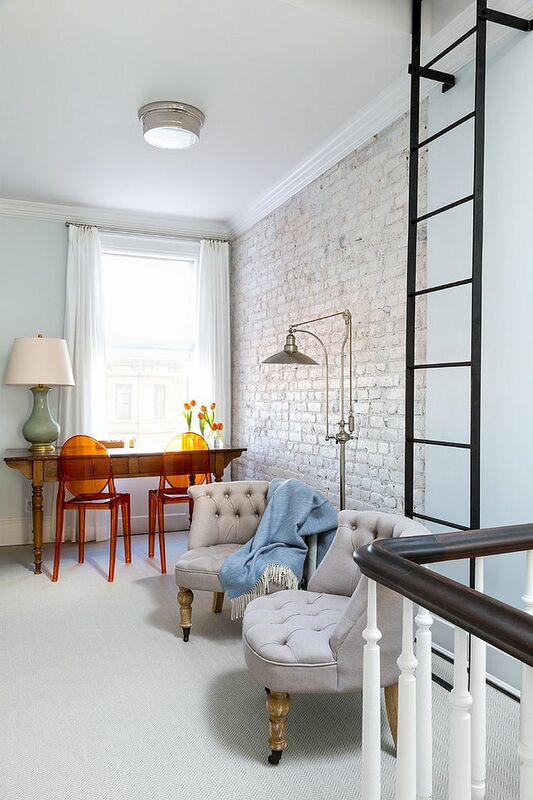 A whitewashed brick wall is unique in more ways than one, and its naturally ‘uneven’ finish makes it a cool architectural feature. 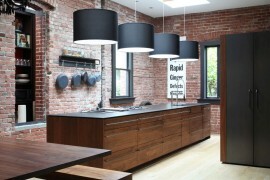 Those seeking more refinement can turn to several coats of white paint instead. 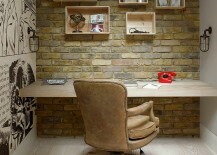 There are several different styles one can try out in the home office with a brick wall backdrop that ranges from the contemporary to the classic. 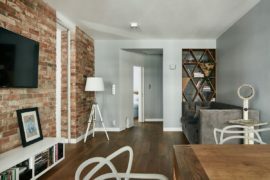 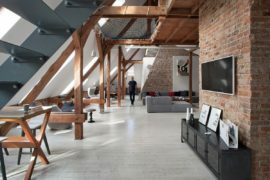 While it might not have been cool to have an exposed brick wall surface a decade ago, things have changed completely with them topping the trends chart in recent times. 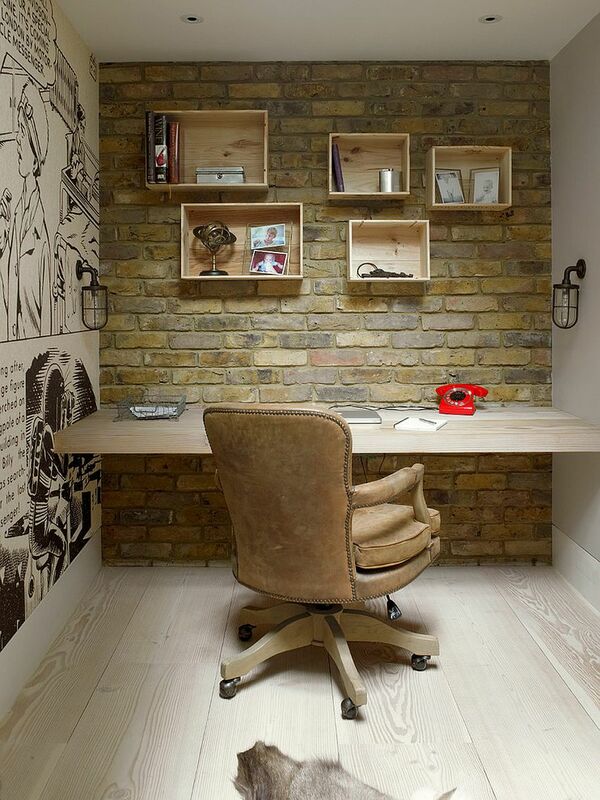 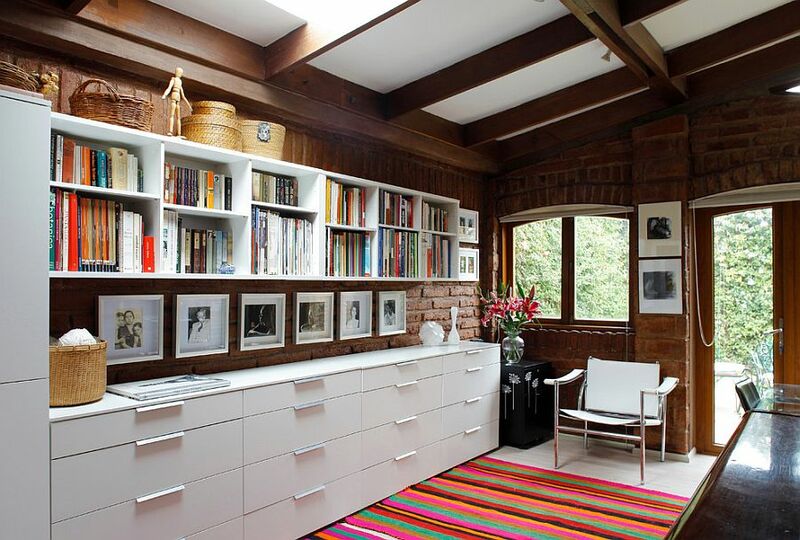 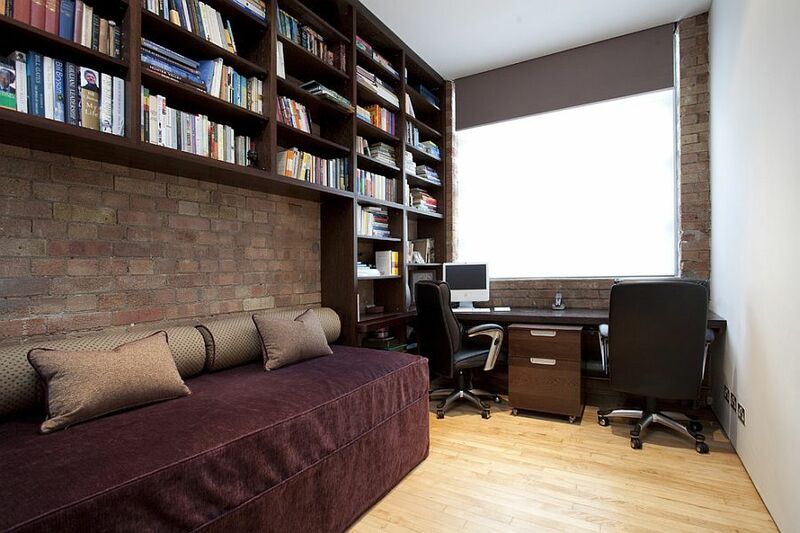 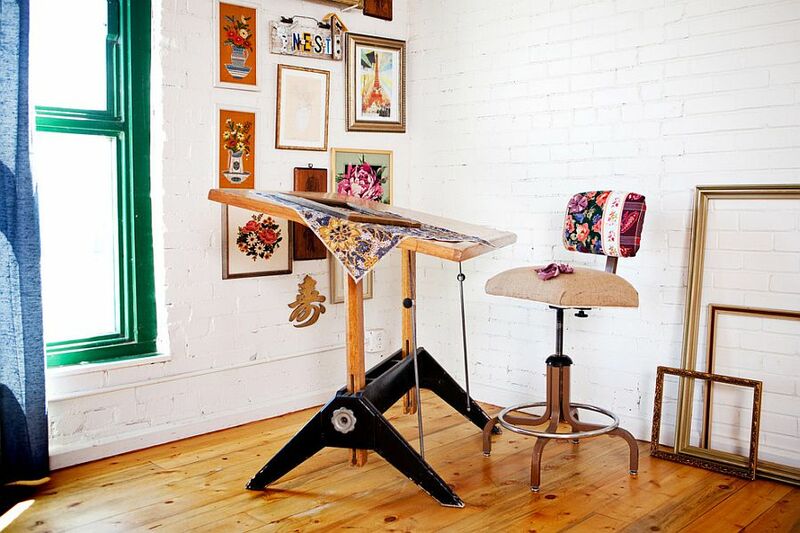 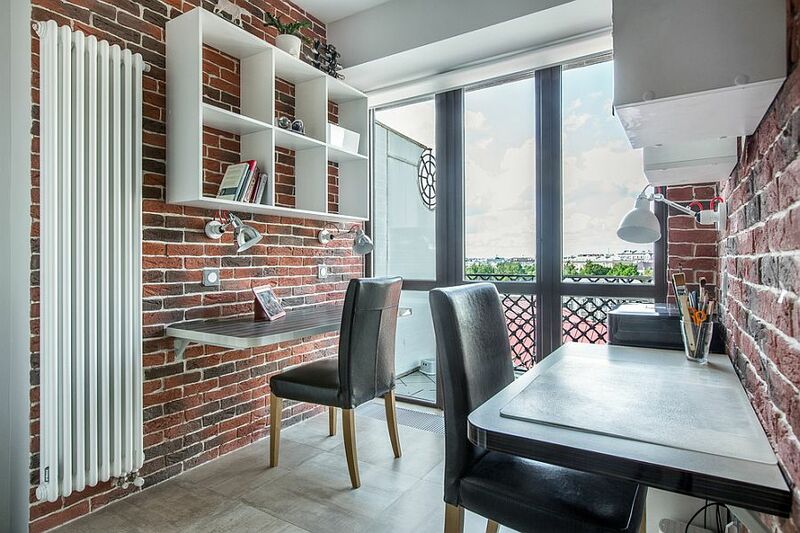 Styles like industrial, traditional and eclectic obviously work seamlessly with the beautiful brick wall in the backdrop, but adding one to a polished modern home office has its own range of benefits. 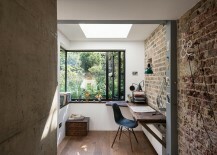 Apart from the obvious textural variance that it offers, a smartly finished and sealed brick wall ensures that the home office feels completely different from the rest of the house. 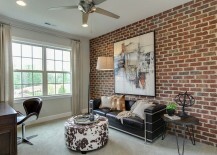 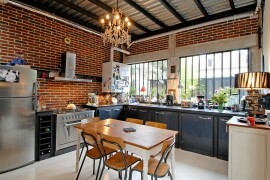 Sure, you love the exposed brick wall look and would want to get in on the trend as well. 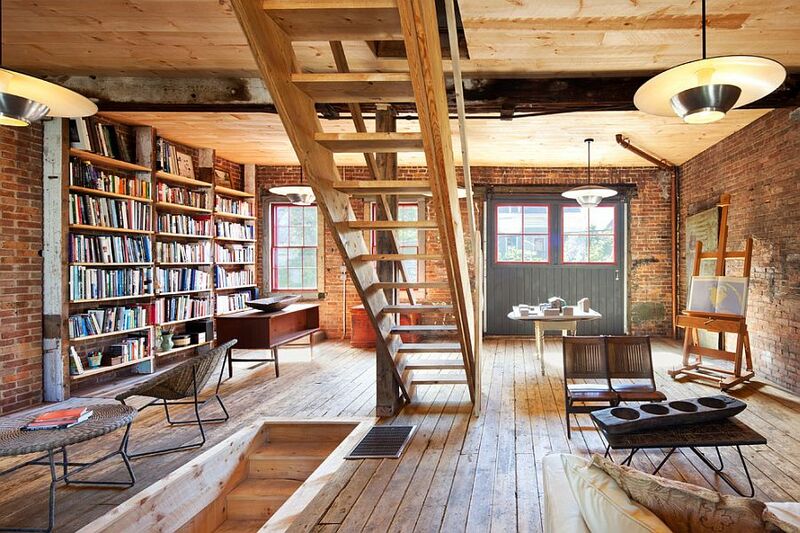 But not all of us have homes where we can simply peel off the plaster on top to find beautifully aged brick walls. 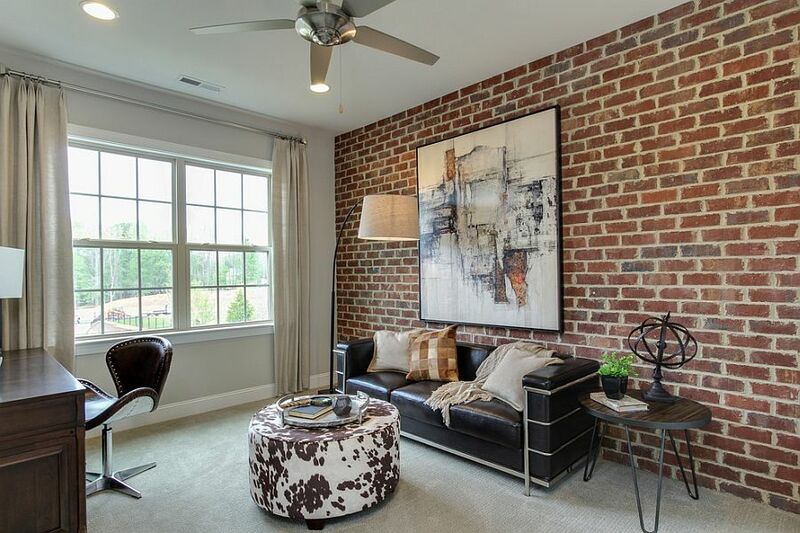 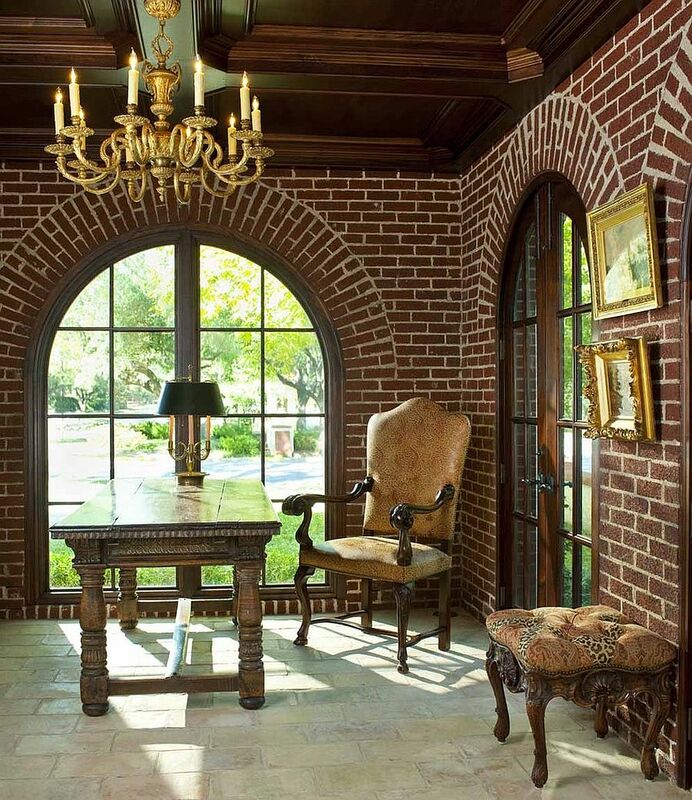 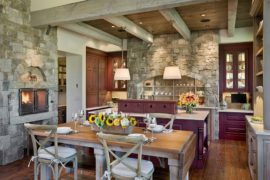 Brick veneer is a great alternative here that allows modern homeowners to get in on the fun without actually longing for those timeless brick walls. 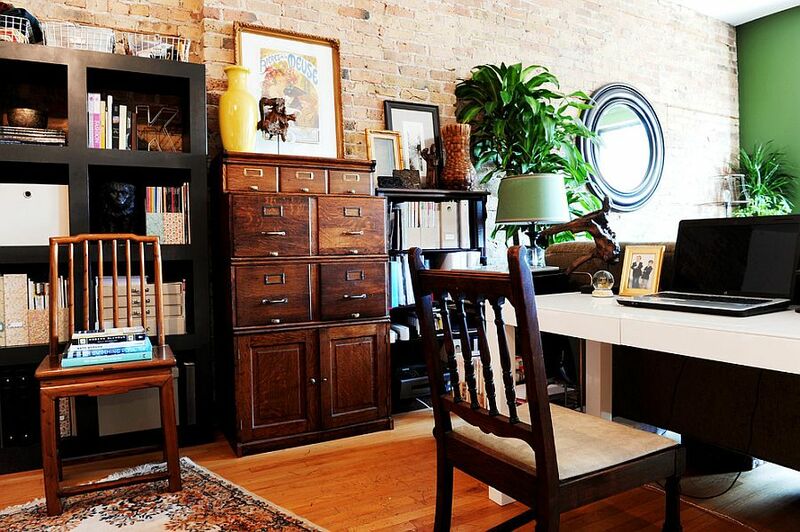 You can start off by choosing it as an accent feature in the home office, and if you love the look, then it is pretty easy to take it into other rooms of the house as well. 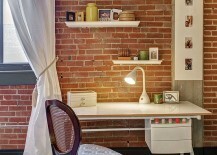 Designing a small home office or even that tiny little workspace in the corner of the bedroom is something that requires plenty of skill and smart utilization of available space. 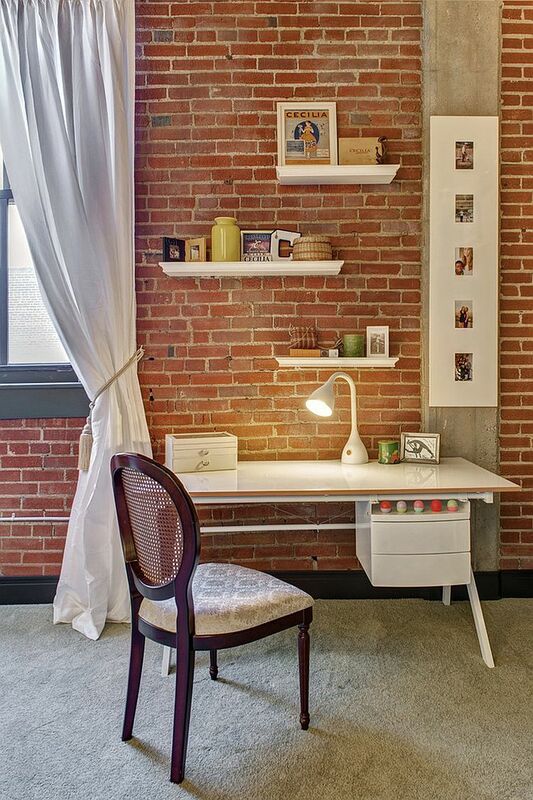 While we normally preach about a backdrop that reduces ‘visual clutter’, brick walls work surprisingly well even in these small settings. 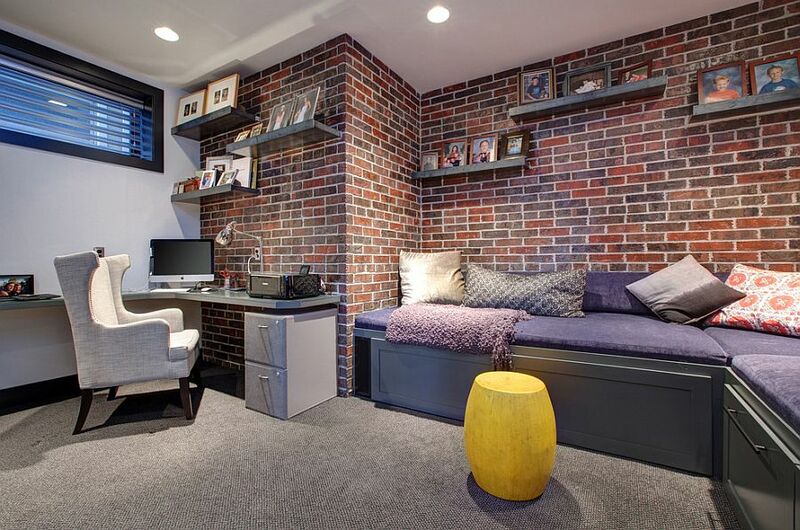 The key here is to keep color in the room to a minimum and to ensure that the brick walls do not seem too garish or out of place. 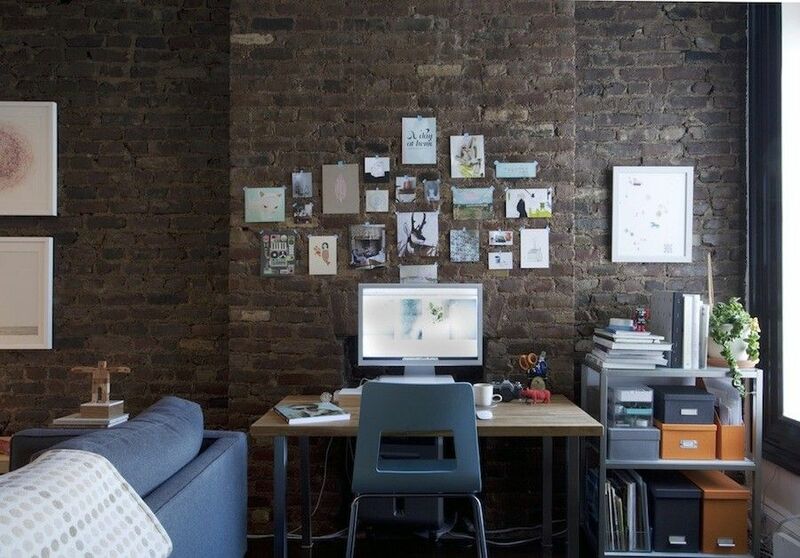 Do not try to combine two or three drastically different finishes in the small home office with brick walls, and stick to a more monochromatic look.